If you have any corporate contacts that may be interested in supporting this effort, please contact Nancy Oda at 818 935-2603. 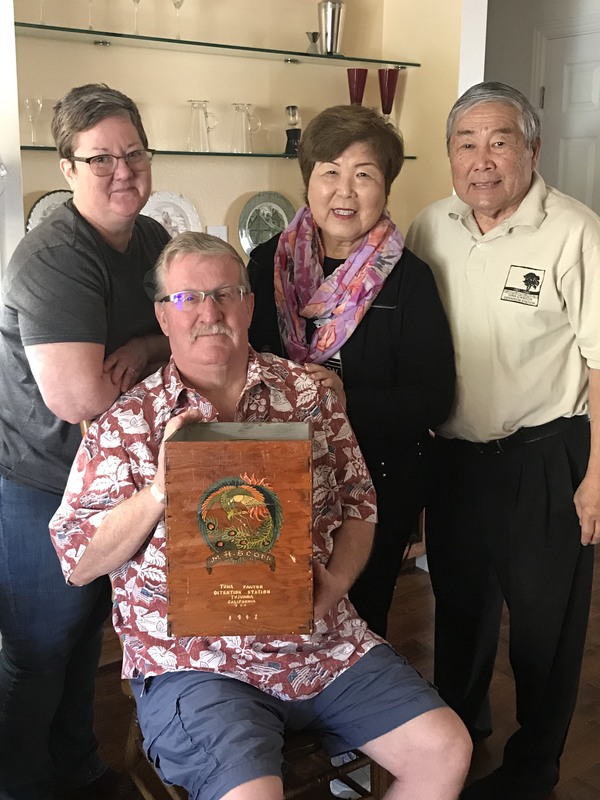 Pictured here: Lynette and David Scott presenting Nancy and Kay Oda with the handmade thank you gift box made by Japanese detainees. It was a gift for Officer in Charge Merrill H. Scott in 1942 that included a beautiful yellow vase.